Dunedin, Fl.–(RSEN) Roy “Doc” Halladay rode into Florida Auto Exchange Field sunrise and pitched two scoreless innings against his former team. 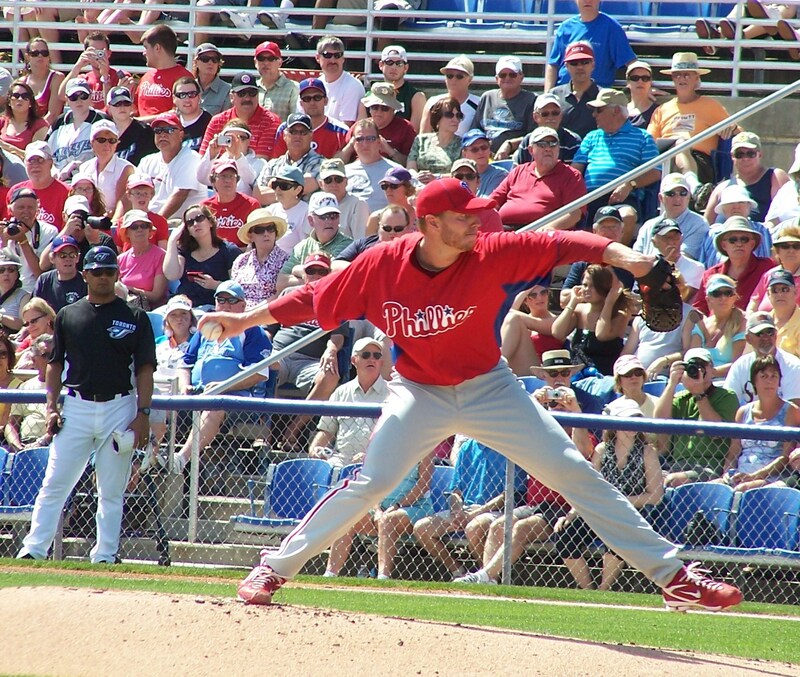 Halladay gave up two hits and walked one. In the first Halladay gave up a one out single to Jays SS Yunel Escobar then walked 1B Adam Lind putting runners at first and second. Jose Bautista flew to right then Juan Rivera bounced to second, inning over, looked easy. In the second Mike McDade flew out, JP Arencibia struck out swinging, John McDonald singled. Two down, runner on first, then as if Doc drew it up this way, Darin Mastroianni flew out harmlessly to right, Roy’s day was done. Could this begin the journey for Phillies to hoist the World Series trophy once again? Often sports fans give championships to teams based on what’s on paper. Like aren’t the Miami Heat the 2011 NBA Champs? 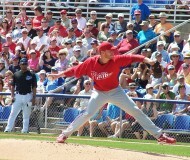 By adding Cliff Lee to the Phils rotation some may say the Phillies have reserve on the 2011 National League Crown. Halladay gave no impression that this might not be the case. He seemed to be pitching effortlessly in his first outting this spring; the Phillies could be on their way. Winning 97 regular season games last year and losing the NLCS to the SF Giants may be enough motiavtion for this starting pitching staff to keep the focus, maintain start by start to bring the trophy back to Broad Street. I do not put champions on paper, but I do like keeping score of those so deemed paper champions… Just like LeBron, D-Wade and Bosh… I will be watching Doc, Cole and Cliff. Ex Phillies Manager Night in Dunedin?